If there was ever a book marked, shadowed and flecked with time, then this is it. A work of historical fiction (neo-Victorian fiction, to be precise), Jones’ novel moves across the nineteenth century world with lyricism, whimsy and intentional anachronism to explore a nostalgic vision of the Victorian era. This is the tale of Lucy Strange, who opens the book as a young and pregnant woman in India dreaming of death, and whose death at age 22 is revealed to the reader on the second page. This prologue is succeeded by the image of Lucy as an eight year-old in the Victorian colony of Australia in 1860, watching her mother’s pregnancy and death, followed in the same chapter by her father’s suicide. The narrator says before the imminent death of Lucy’s mother that “it is from this day that [Lucy’s] life enters the mode of melodrama” (7), and she is indeed thrown out into a wide and engaging world. Lucy, orphaned with her brother Thomas, is sent to live with their uncle Neville in England. With Neville’s spiritual forays and financial ruin, the children are sent to work, and later Lucy to India. The rest of the novel is Lucy’s young adult life, including her forays into photography and her pregnancy and motherhood, and finally her pre-determined terminal illness. 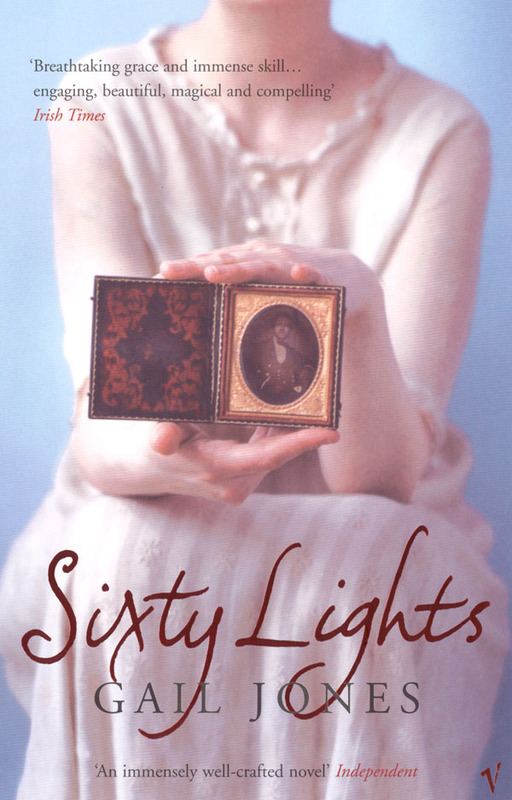 It is aptly named, for Sixty Lights is a novel of sixty photograph-like chapters, each with their own tone, shade and images. Photo-graph, transliterated from the Greek as “light-writing”, is precisely Jones’ concern. Her chapters are illuminated in a variety of ways, from the candlelight and sunlight of Australia to the gas-lamps and magic lanterns of London, as well as employing flames and mirrors. Throughout this novel, Lucy develops a philosophy of bioluminescence: that life creates light, and that light is connected with images, experiences and memories. This is a text that takes a less critical approach to neo-Victorian representation than some recent novels. * However, Jones is nevertheless no less self-reflexive or intertextual than many neo-Victorian novels, and she intersperses her nineteenth century narrative with “ghosts” from the present – anachronistic references, and modern sensibilities. A neat analogy for the novel is a scene in which Lucy is charmed by her thumbprint on photographs (199). Lucy is recognising that in seeing her thumbprints she is being honest about the construction of them. This analogy can be applied to the book as a whole: in allowing us to see the ‘thumbprints’ of the postmodern world, Jones is celebrating the maculate nature of the world, and accepting the necessarily constructed nature of art. This is a poetic, nostalgic novel, whose characters are at times lost to the lyricism, but whose light-writing makes it a memorable read. *This novel is much less critical of the Victorians than, for instance, Jack Maggs, which is Peter Carey’s re-writing of Charles Dickens’ Great Expectations. It is the mid-nineteenth century, and a man has secretly returned to London from the colonies. Having made his fortune in Australia, and anonymously forwarded it towards the prosperity and education of a young man who as a child was kind to him, Maggs now seeks out Henry Phipps. Names and dates slightly changed, this is a familiar plot to any reader acquainted with Great Expectations. Yet a reader expecting a straightforward adaptation of the original from the Australian perspective would be disappointed. The characters of Dickens’ Magwitch and Carey’s Maggs immediately have marked differences, for Magwitch returns to London in 1829 at the age of 60, and Maggs returns to London at an earlier and more fashionable time of his life, and in 1837, emphasising Carey’s rewriting of the Victorian era. Moreover, the familiar events all take place in the background of the novel, and it is Carey’s own fictions that fill the foreground. The liminal convict – a pivot for Great Expectations, but nevertheless a sidelined character – is the protagonist, and his plot is Carey’s re-writing of the novel. Maggs, like Magwitch, attempts to go directly to his funded English gentleman, but unlike Pip, Phipps is not at home, and the whole course of their interactions is thus radically altered. Instead, Maggs becomes a footman for the neighbour Percy Buckle, a former grocer and now another gentleman ‘made’ by the inheritance of a fortune. It is here that Maggs meets Tobias Oates, a young author who seeks to mesmerise Maggs in order to explore the ‘Criminal Mind’, in exchange for providing Maggs with the man who he claims can track down Phipps. The plot then follows these central characters, with few (and entirely negative) portrayals of the debauched Phipps. 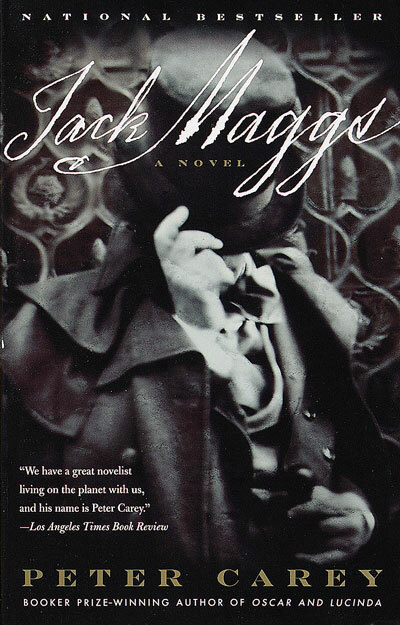 ”Jack Maggs” stands in relation to ”Great Expectations” as ”Great Expectations” itself stands in relation to Dickens’s life: it is a fictional extrapolation in which ”real” events and sources are merely glimpsed; they have been transformed into something fresh, which defies one-to-one correspondences. In spite of this parodic approach, Jack Maggs convincing reads like Charles Dickens. The novel even borrows dialogue; yet it is these invocations of sameness that make the differences that do exist more potent. While the original Magwitch said “I’m much of your opinion, boy” (GE18), agreeing with Pip that he had the “ague” (fever), Maggs uses these same words to Tobias Oates (JM) in thinking that the boy Phipps was kind. In the former, these words are spoken derisively and off-handedly by a starving convict, in the latter, they are spoken contemplatively by a reminiscing philanthropist. These differences in perspective and focalisation are at their most powerful when alluding closely to the original novel, because the familiar becomes destabilised in reading one event in multiple ways. This can be interpreted as the philosophy of the novel as a whole: revisiting the familiar territory of Great Expectations with a postcolonial perspective, and thus destabilising it. But there is always a dual relationship of Australia with Britain, of indebtedness and rebelliousness: for without Great Expectations, there could be no Jack Maggs.